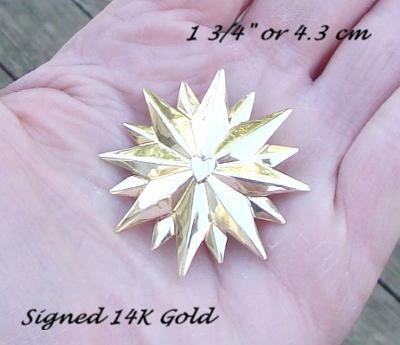 I found an old yellow gold star brooch marked 14K on the c-clasp and signed B.S(just a small faded line next) than & G., so basically, B.S.? & G.. It is 43cm across and very shiny. Any idea who the manufacturer was? Oh, it also has etched numbers 14734 and something that looks like. 51-1 or 21-1.